How well can we predict complex phenotypes in mice from genomic data? 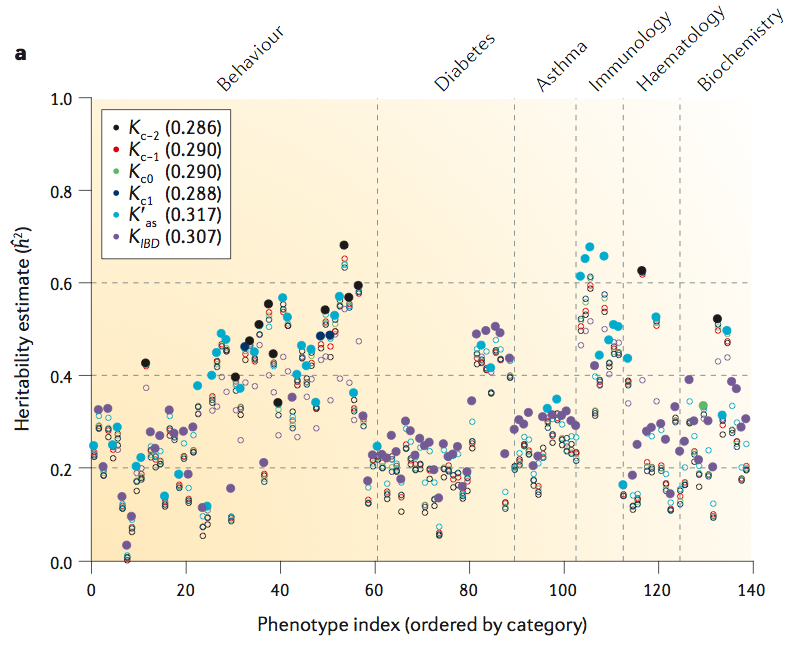 The figure below, from a recent Nature Genetics paper (Speed and Balding doi:10.1038/nrg3821), shows prediction accuracies for a set of 139 traits -- including behavioral and disease phenotypes. Significant chunks of heritability are easily captured by linear models with additive effects. The population of mice used in the study are derived from crosses of 8 original inbred strains (see photo). For similar predictive results in dairy cows, see here. See also discussion in section 3 of my paper On the genetic architecture of intelligence and other complex traits. Compare to the additive heritability estimates below. Note the different K's correspond to different choices of genetic similarity matrices (GSMs; see paper). Just ignore all the dots except the ones with largest r2 or h2 for each phenotype. All of the underlying predictive models are linear. 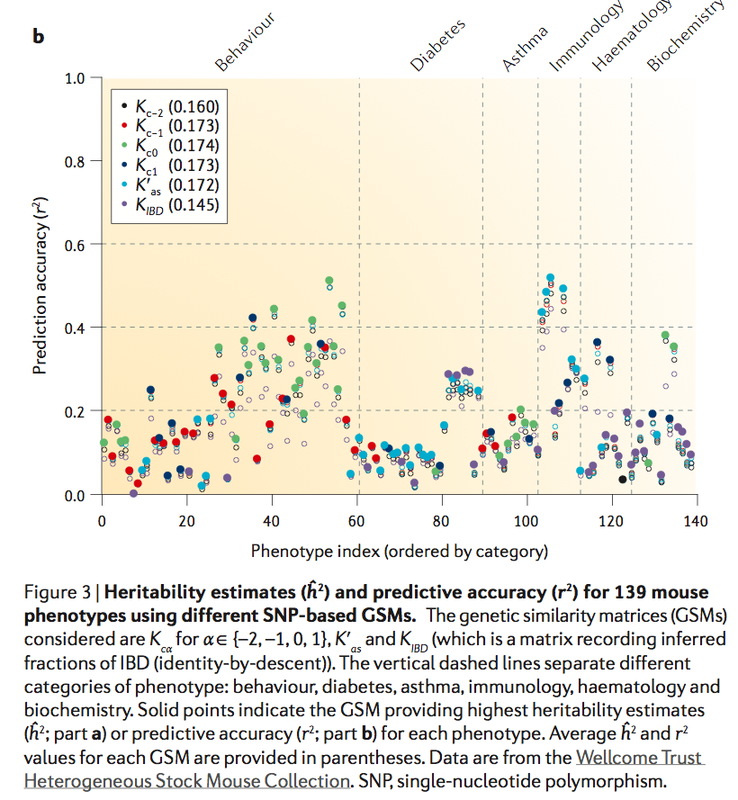 It is possible that some phenotypes have even greater broad sense (including non-additive) heritability and that nonlinear models will be required to capture this variation. Some examples of behavioral traits measured in this mouse population. It seems you have not understood even the first problem with your expectations, that measuring the functions of the human brain is very different from measuring the pellet removal of a mouse.